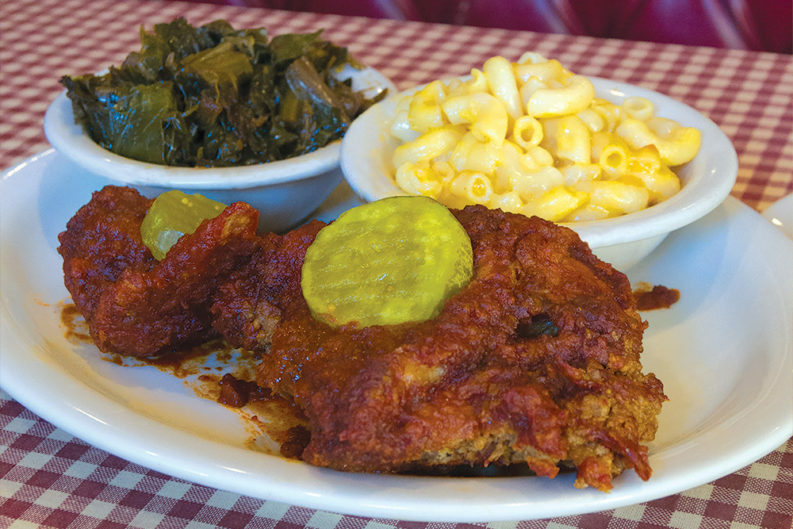 Straight up: If you have a hankering for soul food, there’s only one part of town that offers the real deal: East Knoxville. 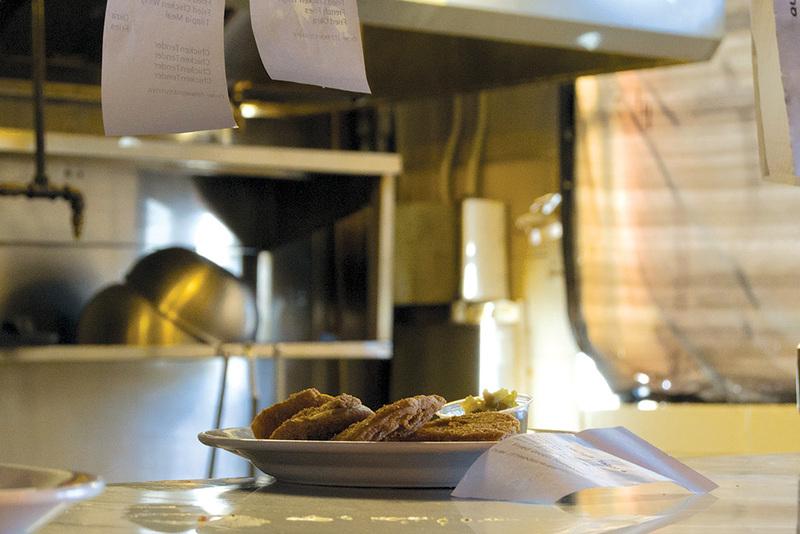 From bona fide chitlins to truly homemade fried chicken, head east. But that’s not the only cuisine of note to be found here—in fact, you can find a wide variety of delicious dishes at one-of-a-kind restaurants, from longstanding icons to new favorites. 108 Fern St. • Thur.-Sat. : 10 a.m.-6 p.m.
Willie Slater’s Burlington Fish Market is easy to miss. It has no name on its Fern Street facade, and it’s open only three days a week. Inside, redolent with the smell of fresh fish and fryer fat, the store shows its age; rows of fresh bass, sea trout, whiting, catfish, croaker, tilapia, and flounder rest on ice behind a cloudy display window. His older customers—“you wouldn’t believe how many have died,” he says of his client base—mainly buy the fresh, uncooked fish, delivered weekly from points along the East Coast by Inland Seafood. Younger folks these days don’t want the odor of fish preparation to permeate their homes, he says. They want their fish cooked for them, and Slater, typically clad for work in Marines fatigues (though he was an Army veteran) is happy to oblige. As he prepares an order, the lively and friendly 79-year-old man chats about life and work one late winter day. He still moves about 200 pounds of fish a week through his shop, but business is slower than it used to be, he says, chalking it up to the relatively recent wide availability of fresh seafood at major supermarkets. A young man walks in from Fern Street and looks around, unsure what to make of the place. He politely leaves, but Slater shrugs and turns his attention back to his fryer. He only offers slaw alongside his fish, and he only fries it onsite. “We just try to keep it real simple,” Slater says. And that he does, and it is simply delicious. He prepares two slices of white bread with mustard and tartar sauce and pulls the breaded tilapia from the fryer. 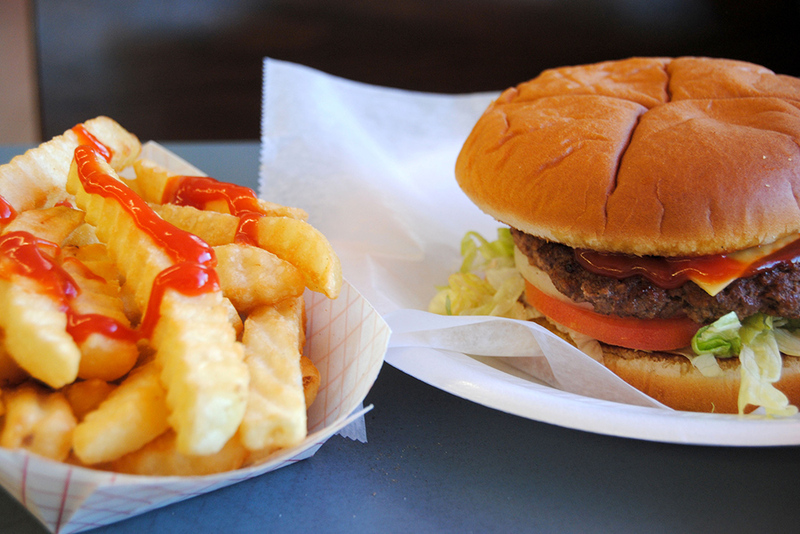 He drapes it over a bread slice, and tops the fillet with a generous shake of hot sauce—“tell me when,” he says. He finishes off the sandwich with sliced onion. The simple yet delectable sandwich, enjoyed with a cold Coke, makes it easy to imagine you’re eating lunch while swinging your legs from a dock on a Lowcountry tidal creek. The crispy fillet is a perfect companion to the soft bread, and the delicate tilapia flavor is amped up a bit by the hot sauce and onion. If you prefer baked fish, you’ve got to haul home your own dressed fish—Slater recommends baking it with margarine and lemon pepper. He mentions an upcoming vacation with his wife, Penny, to Savannah and Charleston. And yes, he plans to eat his fill of fish. 2223 McCalla Ave. • 865-219-5789 • jackiesdreamcafe.com • Sun. : noon-6 p.m., Tue.-Thur. : 11 a.m.-8 p.m., Fri.-Sat. : 11 a.m.-9 p.m.
She’s known as “Miss Jackie,” and no one is more deserving of the Southern courtesy title than Jackie Booker Griffin, who brought the homegrown and home-cooked lovefest known as “Jackie’s Dream” to the core of East Knoxville. Lithe and quick, even after more than 20 years on the Knoxville restaurant scene, Griffin doesn’t look like a grandma. But she learned from her own grannies in Oliver Springs, and her restaurant operates with all the best practices of heritage country cooking: fresh ingredients whenever possible, hand chopping, fresh braising and frying, no heat lamps. The dining room, too, is fresh-scrubbed and squeaky clean, with checkerboard linoleum-top tables and simple, upbeat quotations on the wall. Two urns of lemonade and sweet tea stand next to the gleaming stainless cook’s window where you can watch the chef in action. Where better to enjoy a lavish lunch or early supper of fresh fried catfish or a special like oxtail stew? The clientele here, well, let’s just say a diverse crowd is savvy enough to appreciate the wonder of grandmotherly cooking. There’s suit-and-tie pastors and bean counters, purple hair and ball caps, jeans and beauty parlor coiffures inside, and parked Bimmers, monster trucks, and a CAC shuttle bus unloading customers outside. The staff is bustling and hospitable. A typical lunch shift includes workers singing a couple of tuneful refrains when Whitney comes on; helping a customer with a crossword; wrapping silverware and patting shoulders and giving hugs and smiles for all. The servers are quick on their feet and when it’s time to settle on an order, they’ll talk you through it. So it is that those who enjoy the restaurant’s take on the Nashville staple known as “Hot Chicken” are soon sitting in front of a fresh-fried plateful, liberally doused with a house-made hot sauce that also occupies squeeze bottles. A bread-and-butter pickle adorns the chicken, smooth crisp slaw comes on the side, and long-simmered white beans are on the other side but could make a meal in themselves. This is never going to be “health food” in the strictest sense, but it’s always wholesome. The side dishes on a typical day are more effort than some modern home cooks put in to a month’s worth of cooking, from the seasoned turnip greens to the touch-of-mustard potato salad to fried cabbage. 3225 E Magnolia Ave. • 865-522-5276 • phillippineconnection.com • Mon.–Sat: 11 a.m.–10 p.m.
3816 Holston Dr. • 865-637-5188 • Mon.–Fri. : 6 a.m.–3 p.m., Sat: 6 a.m.–2:30 p.m.
At first sight, the Lunch House owns a modest grandeur. It’s almost Colonial in appearance, at least from afar; it sits above Magnolia a bit, and that small slope adds to its stately quality. Once you’re closer and note the security bars on the windows, that impression softens and by the time you’re inside, all these mistaken notions evaporate: You’re clearly in a home cookin’ kinda place. 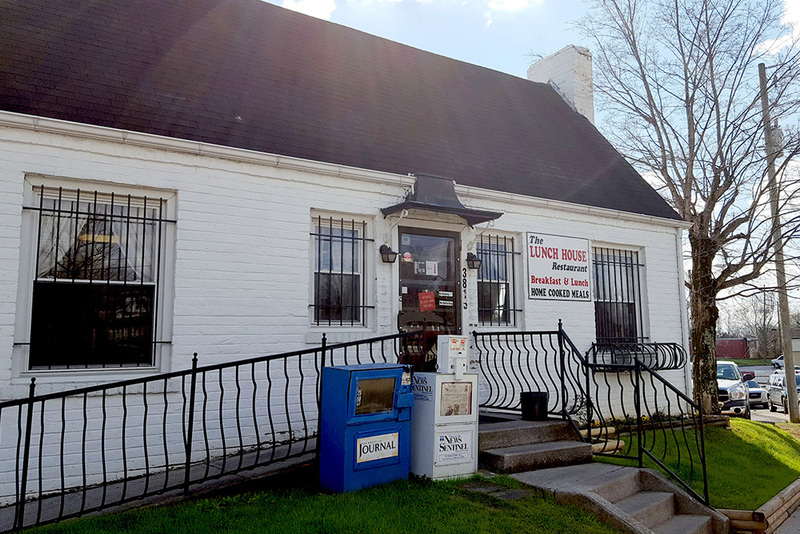 For over 20 years, the Lunch House has been one of East Knoxville’s iconic meeting places; a spot where folks of all incomes and backgrounds mingle for the very worthwhile, hot, and homemade Southern cooking. The menu features breakfast stuff and sandwiches from pimento cheese to a Big Zoe burger (a double with cheese and a fried egg), but it’s the daily specials that keep the place hopping at mid-day. The food is fundamental Southern diner, meat-and-three fare. Fried chicken livers are available daily as is steak and gravy, but kraut and ribs and metts and beans only show up on their appointed days. Until I started writing this, I had no idea that I’ve only ever been to the Lunch House on Wednesdays—because that’s the only day that my favorite special is listed on the menu: Salmon Patties. These are honest to goodness salmon patties made, I’m pretty sure, from canned salmon just like my mom used to make—and they are just as fine. I like mine with the Lunch House’s exceptional mashed potatoes and gravy, which are both clearly homemade by someone who has the right touch. I order green beans when I’m feeling really hale and hearty—because, here, they are the melt-in-your-mouth, cooked-til-they-nearly-fall-apart, very well-seasoned green beans of Southern lore. The Lunch House also serves fried cornbread; some folks might call them hoe cakes. It’s a simple batter that gets cooked into a thin, round disk. Really, there’s not much to it, but it’s a delectable way to use butter and even a little jam, or perhaps you’ll want to tear and drop it into a side of pinto beans—though, if that’s your aim, you’re probably better off getting regular cornbread. The plates are plentiful and filling, but don’t deny yourself some dessert, regardless of whether you smear your fried cornbread with preserves. This place has cobbler that rivals the excellent creations of any sweet, Southern church lady I’ve ever met, and I’ve been to more than my fair share of church suppers. It’s a delicious mess of toothsome crust and sweet, gooey fruit. The blackberry is the stuff that dreams are made on, though the peach is pretty good, too. And if you don’t add a scoop of vanilla ice cream on top, there’s something the matter with you. 3132 E. Magnolia Ave. • 865-524-4388 • visitpizzapalace.com • Tue.–Sat. : 11 a.m.–11 p.m., Sun. : 11 a.m.–10 p.m. This place is the stuff of legend. 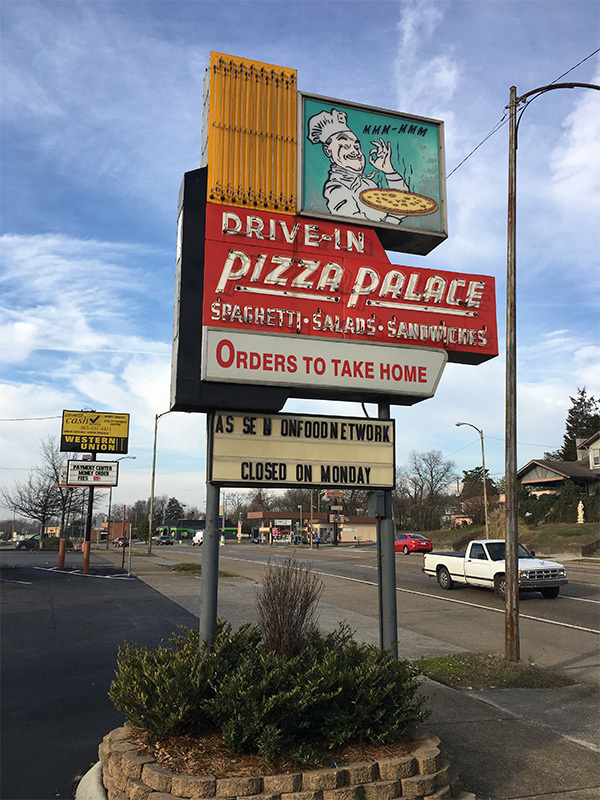 Since 1961, East Tennesseans having pulling up to munch on onion rings, Greek salad, pizza, even spaghetti while sitting in their cars watching the world go by. The place is iconic not because it got the attention of the Food Network and buffoonish host Guy Fieri, but because—like many of Knoxville’s legendary restaurants—it was founded by Greek immigrants only a few generations ago. 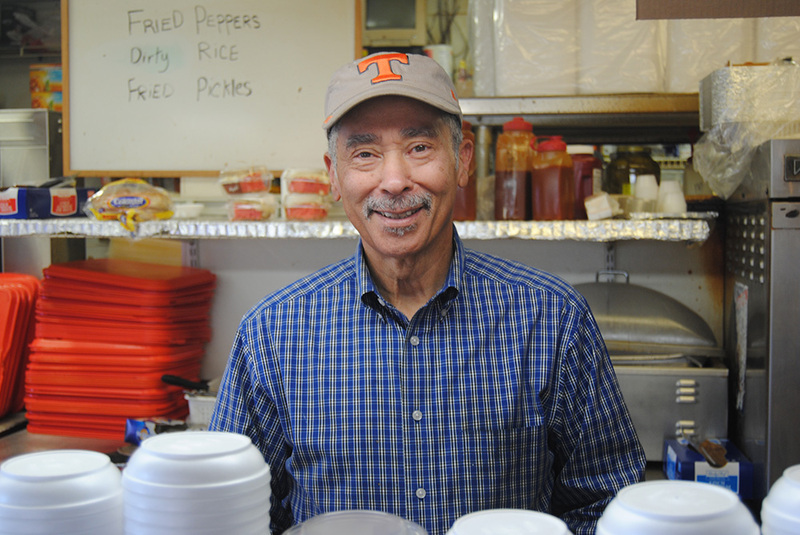 Along with families like Regas, Brinias, and Chronis, the Peroulas clan has been responsible for a large swath of Knoxville’s good eats. At this immigrant-founded establishment, folks far and wide not only experienced their first taste of Greek salad but also ate their first slice of really good pizza. You want to know how to define the American dream? Grab one of these pies. Now, do not look for cauliflower, roasted red peppers, or Castelvetrano olives to top your pizza. It’s an old-fashioned, your-hands-are-gonna-get-messy kind of pizza—and all the better for it. Once you’re here, you’d better go ahead and get some spaghetti—it’s all good, but if you’re undecided go with the pepperoni and Parmesan option. And then, if you tell people you’ve been here, they’ll want to know about the onion rings, too, so better not look uniformed. 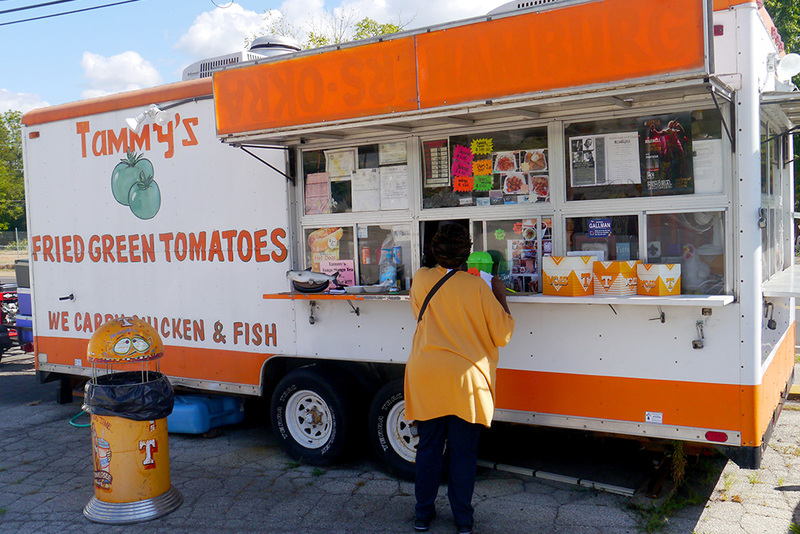 Tammy McBath, the proprietor of the eponymous Tammy’s Fried Green Tomatoes truck, spends plenty of time pondering ways to achieve her ultimate dream: How to freeze or otherwise preserve the peppery fried green tomatoes she sells from a trailer in a parking lot in Burlington at the intersection of Martin Luther King Avenue and Holston Drive. She thinks she could tap a vast market for her unique featured product, but their sogginess is the bane of her existence. She can’t figure out a way to keep them dry after they thaw. She offers a moderately spicy sample of her immaculately breaded fried tomatoes, and urges their quick consumption lest they get…soggy. “My dream is to ship them all over the world,” she says while frying chicken and tomatoes and fish and serving up her mango tea. She is helped on occasion by her niece, Shykea, who made herself a peanut and jelly sandwich during a lull in business on a recent sunny day. Her aunt’s food truck has been in business about five years and serves between 50 and 75 plates per day. As anyone who has tried to make fried green tomatoes in their kitchen knows, it’s not an easy proposition despite its apparent ease. They need to be cooked with care, and properly breaded to ensure a good texture. But these are like none you’ve had—and they don’t cost $10 a plate as they are in restaurants that have co-opted and fancified the traditionally rural Southern dish. You can slather them with hot sauce or ketchup, or just eat and enjoy them in all their sublime simplicity. They melt in your mouth—but let them cool first. Also on the menu is fried fish, hot dogs, and delectable wings that fall right off the bone. It’s all takeout, obviously, meaning many of her customers scarf her grub in the parking lot. Her mango tea is an unusual but delectable nectar blending flavors both tropical and Southern. The food truck has a deep backstory. McBath is proof that necessity is the indeed the mother of invention—and business savvy. “You want a story?” she says after warming to a reporter from a perch at her counter through a sliding window. She was married to a man who operated a dry-cleaner; they had two children. They were 6 and 12 years old when their father died of prostate cancer. She set up a fryer on a street corner to make ends meet, she says, selling fried green tomatoes and fish. Both her children went to college; one is now an English teacher and the other a project manager for TVA. 3101 E. Magnolia Ave. • 865-595-0212 • chandlersstore.com • Sun. : noon-6 p.m., Mon. : 11 a.m.-3 p.m., Tue.-Thur. : 11 a.m.-7:30 p.m., Fri.: 11 a.m.-8:30 p.m., Sat. : noon-8:30 p.m.
3931 Holston Dr. • 865-523-8314 • Thu.–Sat. : 3 p.m.–9 p.m.
Lema’s is situated in a fascinating little strip that sits on Holston Drive, a road that begins or ends (depending on your perspective) just about a block west of the restaurant and briefly runs between Magnolia and Martin Luther King Avenues until MILK ends just as you pass Lema’s. You can’t miss the restaurant’s vibrant red facade and bold lettering—what you can miss is the “open” sign. Lema’s is only open three days a week for a total of 18 hours of service—unless it’s not. Lema’s is a specialty restaurant. 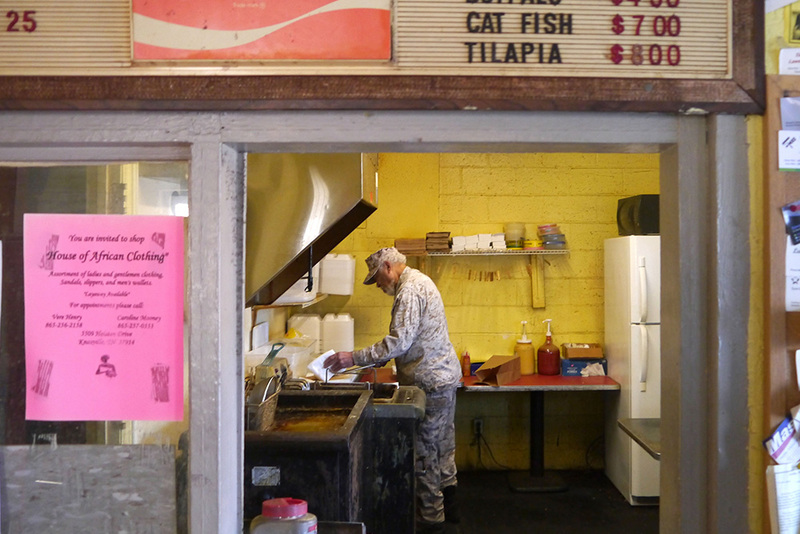 The menu board indicates that there’s a fish dinner and some soul dogs available, but what people seek out at Lema’s is that most infamous of soul foods: chitlins. 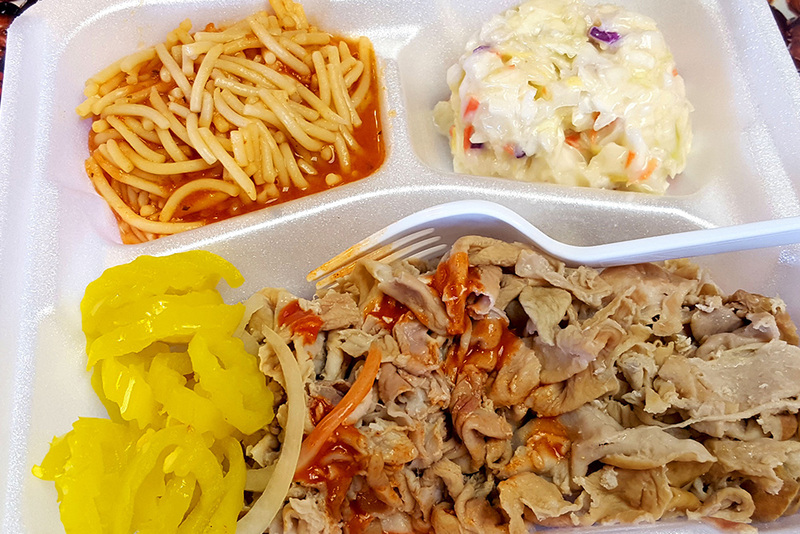 Properly spelled chitterlings, they are hog intestines, and Lema’s proclaims in their very name that their version of the dish is world famous. If you’ve paused to visit Google to confirm what you’re reading, you may have already learned that the essential quality that you look for in chitlins is cleanliness. And, as you might imagine, that takes some doing. In fact, there’s a little sign behind the counter of Lema’s that says something to the effect that the greatest compliment on Earth is to eat another man’s chitlins. And in homes where chitlins are made, young eaters—like the restaurant’s single Yelp reviewer—are advised never to eat anybody else’s chitlins but mom’s. Still, Lema’s is known for its cleanliness—though, honestly, if my late friend (and excellent cook) Stanley Scandrick hadn’t vouched for the place, I don’t think I would have been so brave. 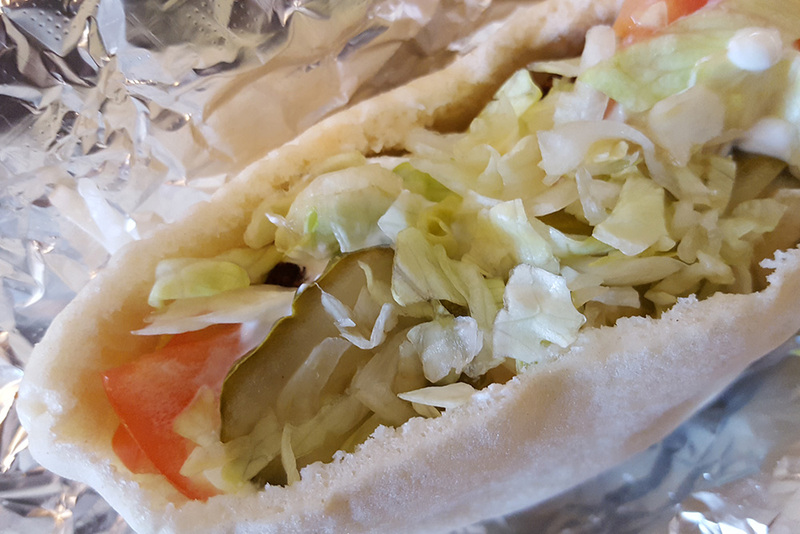 If you’re planning an early visit to Lema’s, say for a late lunch, they’ll pack your food as if to go. There’s some seating in a separate room, to the left of the counter where you order, and the friendly lady behind the counter won’t mind if you want to sit down; but a sign says that it’s for evening seating. Even so, if you’re stopping in for your first taste of this rare delicacy, you’re probably better off taking them with you until you know you like them. For the uninitiated, the first bite can prove to be a challenge. Chitlins are a difficult food. If you grew up eating them or have learned to appreciate them, then you’ll find that Lema’s traditional preparation results in clean, very tender, and well-seasoned chitlins that you’ll enjoy eating. And there are folks in the world who consider them a delicacy worth seeking out. Or if you’re one of those “let’s try everything” food cadets, chitlins represent a merit badge of the highest order. They aren’t cheap (and you’ll want to bring cash): A small serving with a corn muffin, called the Big Sis, starts at $15. For a mere $1.50 more you can have a full dinner, which includes a scoop each of spaghetti in tomato sauce and coleslaw. There are six serving sizes that top out with the Big Papa meal at $75.50. I don’t know how that’s packaged, but Big Sis comes in a little Styrofoam to-go box—and you can open up your box and add hot sauce or Tiger seasoning and whatever else is on the counter, if you like. 4704 Asheville Hwy. • 865-247-0391 • habanerostn.com • Mon.-Thur. : 11 a.m.-9:30 p.m., Fri.-Sat. : 11 a.m.-10:30 p.m.
4700 Asheville Hwy. • 865-525-7771 • Mon.-Sat. : 11 a.m.-7 p.m.
Don’t judge a place by its signage—Scott’s Place is actually named after a former owner’s kid; and the iconic dripping vintage ice cream cone looming large out front comes from its days as the Burlington-area Kay’s Ice Cream. Nowadays you can still find hand-dipped ice cream there, but no one named Scott. Instead, it is Susan Saah behind the counter and son Fred Saah at the grill, wielding a spatula and vast shakers of Tiger Seasoning. It’s the kind of burger joint where guys start stories addressed to “fellers,” and they mean the whole room. A couple of older men sip coffee and quip from a table front and center. The server calls people “dear” as she’s relaying fried pickles and three-tier cake slices to Formica-topped tables. The walls are plastered with Motown posters and the music comes from mounted boom-box speakers—some ’70s, a little country maybe. While people do probably stop in just to drink in the small-town atmosphere, most are here for Scott’s top sellers: the burgers and the Steak in a Sack. The burgers are freshly ground and patted meat; melting cheese and the works. They make three sizes the same way, with the smallest being a quarter-pound, but the Big C burger is the star. It’s one full pound of meat for a mere $6.69. Fred jumps in to remind her that the buns are custom-made at Quality Bakery down the road. Alongside, most get crinkle-cut fries that are golden and crispy. The Big C burgers aren’t what you’d think, either. They’re not a novelty to be consumed on a very special occasion or an item to cross off one’s bucket list. “We sell them during the day, every day, all day,” says Susan with a sweet smile. At lunch, people start showing up a few minutes before the official opening bell at 11 a.m. and by noon there’s competition for seats. Seems like the whole of Holston Hills pours in, along with a bunch of tradesmen. Working the cash register, Susan greets each person in her gentle Southern drawl and seems to know everyone, from a student with dreadlocks to an old-timer with a ball cap and faded jeans. A refreshing antidote to sterile order boards and canned-voice drive-thrus, Cardin’s is the real deal—an authentic drive-in restaurant that opened in 1959. The drive there from Knoxville is delightful: 7-8 miles down a piece of Asheville Highway showcasing charming foothills, red barns and cottage industries with unlikely names, like Four Way Barbershop. At the unassuming site thronged with cars of every vintage, you, ah, pull into the unlined parking lot at an angle suggesting you want service. You may not be able to get a clear view of the menu board from all the spots, so get out of the car if you’re undecided. And make it quick—an upbeat woman in casual clothes will come to the car almost as soon as you’ve stopped to get your order. As in, you roll down your window and she writes it down. No buzzers, no speakers, no apps (though you can pay with a credit card). Or you park the fam at one of the picnic tables and sashay up to the same order window the servers use. It is fun, like mini-golf and Friday Night Lights and bowling. Even grouchy teens look cheerful at Cardin’s, and seniors, bikers, and families who appear to be on the way to a museum or cheer practice pack the place, too. Dare we say it’s the only non-franchise drive-in in the area that serves breakfast? Good breakfast on the go, with crispy bacon and yes, biscuits and gravy! You can even just order a side of the gravy and they will bring the whole shebang right to you, car-side. The rest of the day, it’s all retro all the time, and mighty tasty, too. Fried bologna sandwich, onion rings, burgers, chipped ham, canned soups, fried oyster platter, all there. The carhops and cooks work in cheery synchrony, not one Northern accent in the bunch. They’re the only ones who have learned owner Wilma Hillard’s milkshake methods by heart, and they are right to brag about the fresh fruit concoctions and the plentiful hot fudge. Would Wilma have to kill you if you learned the secret recipes? “It’s a good possibility,” jokes Lena Nail, who’s worked the window at Cardin’s about two years, sometimes with the help of her daughter, Sarah Lowery. But they are serious about Cardin’s banana split, which could single-handedly revive the art with its traditional pineapple and strawberry syrups and real whipped cream. “It’s the best banana split anywhere,” says Nail. Of course, there aren’t any pictures of the banana split or the burgers or anything else. Correction Feb. 23, 2017: An earlier version of this story stated Cardin’s opened in 1997—it actually opened in 1959. We banded together to make a united effort in the name of fine journalism.